The City of Baltimore is burning down. Literally. One man takes to the streets. You won’t believe what he did! When Does Someone See A Judge In Suffolk County? Are you looking for someone arrested in Suffolk County? Even if someone is arrested by a Village Police Department, that person will usually be taken to the Suffolk County Police Department (SCPD) for additional processing. Click Here for a list of Police precincts in Suffolk County (SCPD Addresses). Click Here for a list of phone numbers to SCPD Precincts. Click here for a list of Criminal Courthouses in Suffolk County and to find the address of a Court in Suffolk. In New York City, people who arrested go from the Police Station to Central Booking. In Suffolk County, there is no Central Booking. However, the person should still be arraigned at the Courthouse within 24 hours of arrest. However, unlike New York City, where there can be a huge backlog of people being processed, a Suffolk County defendant can be processed and arraigned pretty quickly, many times in the same day and within hours. Unlike arraignments in New York City, which go from the morning until 1am, arraignments in Nassau and Suffolk go until 5pm. A person arrested is arraigned in the District Court Arraignment part. An arraignment is when someone who has been arrested sees a Judge to enter a plea. At the arraignment the Court will also set a bail. In some cases, no bail is set. In Suffolk County, after someone is arrested, that person is often interviewed by the Department of Probation. The Suffolk County Department of Probation will then make a recommendation regarding the need for a bail to the Court based upon the interview with the person arrested. The person’s lawyer will make what is called a bail argument. Please note that sometimes in Suffolk County, people are arraigned without an attorney representing them. In Suffolk County, the District Court Arraignments take place seven days a week in Courtroom D-11. Each day, arraignments in Suffolk County start at 9:30. Suffolk County District Court has a recorded information phone number. The Suffolk County Court Number is a good starting point for finding information relating to a Suffolk County Criminal Case or Suffolk County Arraignment. The number is 631-853-7500. The Suffolk County District Attorney’s Office has a great resource page for people who want to learn more about the criminal arrest, booking, arraignment, and indictment processes in Suffolk County. CLICK HERE to go to the Suffolk County District Attorney’s website/webpage on criminal justice procedures. Below is a link to Suffolk County Police Department communications regarding the arrest of non U.S. Citizens and persons with dual citizenship. CLICK HERE for the Suffolk County Police Department Policy on the arrest of Non-citizens/arrest of immigrants in Suffolk County. 400 Carleton Avenue, Central Islip, N.Y.
ATTORNEY ADVERTISING. This web site may be considered advertising in some jurisdictions under the applicable law and ethical rules. Oeser-Sweat, P.C. does not offer any guarantee of case results. Prior results do not guarantee a similar outcome. THIS WEBSITE IS FOR INFORMATIONAL PURPOSES AND IS IN NO WAY INTENDED TO PROVIDE LEGAL ADVICE OR CREATE AN ATTORNEY CLIENT RELATIONSHIP. This site is not in anyway affiliated with any federal, state or governmental department or entity. This site is provided to give information to the general public and is not intended to constitute legal advice. Please consult your lawyer for legal advice. Are you trying to find someone arrested in Bergen County, New Jersey? If you are looking for someone arrested in Bergen or trying to lookup a prisoner in Bergen County Jail, you can use the Bergen County Sheriff‘s Inmate Lookup system. If you are an attorney or legal professional trying to find information regarding visiting an inmate in the Bergen County Jail, you can find information regarding visitation (visiting person in Bergen County Jail), and information about sending mail to an inmate at Bergen County Jail on the website. UNDERSTAND WHAT BAIL IS? CLICK HERE to find out more about bail. Are you looking to find someone arrested in Chicago? Are you looking to find someone arrested in Cook County? If so, then the Cook County Sheriff’s Office has resources that may be useful in your Cook County inmate search. The Cook County Inmate Lookup system/Cook County Inmate finder is located on the Sheriff’s website. The Cook County Sheriffs inmate search is a good start for someone trying to find someone arrested in Chicago. While it is limited to inmates in Cook County rather than providing an inmate search in Illinois Prisons in all counties, the Cook County Sheriff inmate search system is a great resource. There are several ways to find an Inmate in Cook County. You can search for the Inmate by Last Name on the Cook County Sheriff’s site. You can also find a prisoner in Cook County by searching with a Booking Number. If you are going to search for an Inmate using the Booking Number, make sure that you use a hyphen in the Booking Number. For example, 2000–0043394 is a typical booking number format for a Cook County Inmate If you do not use the hyphen, you may not find the person that you are looking for. Employees at the Cook County Jail do not use the Sheriff’s website, but rather, have access to a jail management system program. Using the Sheriff’s site, you can conduct a free cook county inmate search. CLICK HERE to conduct a Cook County Inmate Search – Search for Inmate Information and find people at the Cook County Jail. The Jail in Cook County is run by the Cook County Sheriff’s Department of Corrections which is located at 2700 S. California Avenue, Chicago, IL 60608. The telephone number is 773 674 5201. According to the Sheriff’s site, the visitation policies for visiting inmates in Cook County Jail have recently changed. You should consult the Sheriff’s website for more information or call the Visitor Information Center at 773.674.5225. There is now a background check that must be performed before you can visit an inmate! 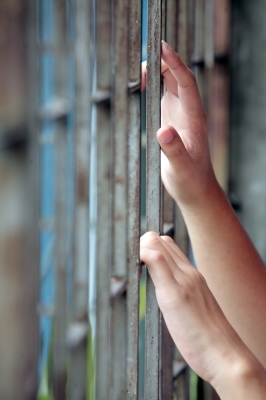 Children under 17 will not be able to visit an Inmate housed in Cook County. What are the requirements for visiting an Inmate in Cook County? You must fill out an application and be approved by the Department of Corrections to visit an Inmate. Can a minor visit an Inmate in Cook County Jail? Children under 17 will not be able to visit an Inmate housed in Cook County unless accompanied by a Parent or Guardian. Can a person who is on probation visit an Inmate? Persons who have been on parole or probation for less than a year since serving a jail sentence will also be denied visits and/or access to inmates. Can I visit an Inmate in Cook County if I am on House Arrest? No, Persons who are on house arrest will also be denied visits and/or access to inmates. Can I visit an Inmate in Cook County if I am on On Bond and waiting for a court date? No, Persons who are on On Bond and waiting for a court date will also be denied visits and/or access to inmates. Are you looking to find out if someone has a warrant? The Cook County Sheriff’s Office provides online information regarding Criminal Warrants and online Child Support Warrant information so that you can find out if someone in Chicago has a warrant. The Chicago Bar Association Web Site has information for individuals who have been arrested in Chicago as well as resources for the families of those who have been arrested. CLICK HERE to view WHAT TO DO IF YOU ARE ARRESTED IN COOK COUNTY by the Chicago Bar Association. ATTORNEY ADVERTISING This web site may be considered advertising in some jurisdictions under the applicable law and ethical rules. Oeser-Sweat, P.C. does not offer any guarantee of case results. Prior results do not guarantee a similar outcome. THIS WEBSITE IS FOR INFORMATIONAL PURPOSES AND IS IN NO WAY INTENDED TO PROVIDE LEGAL ADVICE OR CREATE AN ATTORNEY CLIENT RELATIONSHIP. OESER-SWEAT, P.C. is not licensed to represent individuals in the State of Illinois. LOOKING FOR AN INMATE IN ANOTHER STATE? Are you looking for an Inmate or someone who is currently incarcerated in Illinois? Are you looking for an Inmate or someone who is currently incarcerated in Illinois? There are several different places that someone who has been arrested and is currently in custody in Illinois could be. The jail that the inmate is housed in will be affected in large part about what agency is holding the inmate. Each State/Commonwealth has a system of Prisons. Often, the State Prisons will house inmates with longer sentences, often due to a Felony Conviction. Within each state, the various counties have their own jails for holding people who are on trial, or who are charged and/or convicted of lesser offenses & Misdemeanors. If you can not find an inmate & he or she has an attorney, often the attorney/lawyer is a great resource for locating a prisoner. The State Prison System in Illinois is run by the Illinois Department of Corrections. Illinois State Prison Inmates can be found through the Illinois Department of Corrections webpage. Illinois Corrections provides inmate lookup and offender info as well as other jail locator & prison locator services. The Internet’s #1 Prison Survival Guide Click Here! Are you looking for an Inmate or someone who is currently incarcerated in the District of Columbia (DC)? There are several different places that someone who has been arrested and is currently in custody in the District of Columbia (DC) could be. The jail that the inmate is housed in will be affected in large part about what agency is holding the inmate. Each State/Commonwealth has a system of Prisons. Often, the State Prisons will house inmates with longer sentences, often due to a Felony Conviction. Within each state, the various counties have their own jails for holding people who are on trial, or who are charged and/or convicted of lesser offenses & Misdemeanors. If you can not find an inmate & he or she has an attorney, often the attorney/lawyer is a great resource for locating a prisoner. The State Prison System in District of Columbia (DC) is run by the District of Columbia Department of Corrections (DCDC). LOOKING FOR A CRIMINAL DEFENSE LAWYER IN DC? THE POOLE LAW FIRM CAN HELP!!! Inmate Information can be obtained by contacting the DC Department of Corrections’ Records Office at 202-673-8257. If you are the victim of a crime and you a DC Department of Corrections (DCDC) Inmate Number, Metropolitan Police Department Identification Number (PDID), Inmate’s Full Name or the Court Case Number, you can receive automated updates on inmate housing and movements by registering with VINE (Victim Information & Notification Everyday) at 1-877-329-7894. Inmates in DC Jails are housed based on an Inmate Classification System. The Inmate’s Custody Category is determined by a number of different factors. The Custody Categories are Low, Medium & High. In DC, Low & Medium Category inmates are housed in the CTF. Low, Medium & High Custody Category Inmates are housed at the DC Jail. The CTF is the Correctional Treatment Facility (CTF) and is an annex to the DC Jail which is operated by the Corrections Corporation of America (CCA). The DC CTF address is 1901 E St. SE, Washington, DC 20003. The telephone number of the CTF is 202-547-7822 (CTF Command Center). The Central Detention Facility – DC Jail is is operated by DC Department of Corrections (DCDC). The DC Jail address is 1901 D St. SE, Washington, DC 20003. The telephone number of the CTF is 202-698-4932 (DC Jail Command Center). Visits at the DC Jail are conducted at the Department’s Video Visitation Center located at the D.C General Hospital complex (adjacent to the jail–across the street). Visits may be scheduled by calling 1-(888) 906-6394 (Tuesday through Saturday from (9:00 am to 5:00 pm) or via the web (online) at https://visitation.doc.dc.gov/app. Visits will be conducted Wednesdays through Sundays starting at 12 noon until 8 pm. The first session will begin at noon and the last session will begin at 7 pm. Each inmate is allowed one 45 minute visit each week. Visits are no longer scheduled by the inmate’s last name. Visits are free and by appointment only. Click Here for more Information regarding Visiting An Inmate at the DC Jail. Are you looking for an Inmate or someone who is currently incarcerated in Texas State? There are several different places that someone who has been arrested and is currently in custody in the State of Texas could be. The jail that the inmate is housed in will be affected in large part about what agency is holding the inmate. Each State has a system of Prisons. Often, the State Prisons will house inmates with longer sentences, often due to a Felony Conviction. Within each state, the various counties have their own jails for holding people who are on trial, or who are charged and/or convicted of lesser offenses & Misdemeanors. If you can not find an inmate & he or she has an attorney, often the attorney/lawyer is a great resource for locating a prisoner. The State Prison System in Texas is run by the Texas Department of Criminal Justice. E-mail to this address classify@tdcj.state.tx.us the offender’s full name and 7-digit TDCJ number. If you do not know the TDCJ number, provide the exact date of birth (if d.o.b. is not known, provide their approximate age and county of conviction). There is no charge for this service. Photographs and social security numbers of offenders will not be provided to the public. The Projected release date is determined by the offense date and the nature of the offense. Offenses committed prior to 9-1-96, that are by Law eligible for Mandatory Supervision, will be released on their projected release date if they are not paroled. Offenses committed 9-1-96 or after, that are by Law eligible for Mandatory Supervision, will be released at the discretion of BPP. For offenders not approved for release by BPP, or that are not eligible for Mandatory Supervision, the projected release date will be their discharge date. The Offender Telephone System (OTS) allows eligible offenders to make paid telephone calls to friends and family listed on the offender’s Visitor List. Offenders with major disciplinary problems, gang affiliations, or on death row will not have access to the telephone system. Note: You will need the offender’s TDCJ ID Number to register to receive phone calls from him or her. If you do not know their number you can find it through the online offender search at http://www.tdcj.state.tx.us/offender_information/index.html or by phone at (936) 295-6371 or (800) 535-0283. The phones are answered from 8 a.m. to 5 p.m. Monday – Friday. Are you looking for an Inmate or someone who is currently incarcerated in Maryland State? There are several different places that someone who has been arrested and is currently in custody in the State of Maryland could be. The jail that the inmate is housed in will be affected in large part about what agency is holding the inmate. Each State has a system of Prisons. Often, the State Prisons will house inmates with longer sentences, often due to a Felony Conviction. Within each state, the various counties have their own jails for holding people who are on trial, or who are charged and/or convicted of lesser offenses & Misdemeanors. If you can not find an inmate & he or she has an attorney, often the attorney/lawyer is a great resource for locating a prisoner. The State Prison System in Maryland is run by the Department of Public Safety and Correctional Services (DPSCS). LOOKING FOR A CRIMINAL DEFENSE LAWYER IN MARYLAND? THE POOLE LAW FIRM CAN HELP!!! WHAT HAPPENS WHEN SOMEONE IS ARRESTED IN BALTIMORE? For location, identification number and status of offenders currently in detention please contact the Customer Service office at 410-545-8120, 410-545-8121 or 410-545-8128. How long does it take for an arrestee to be processed? This information is determined by how busy the CPU unit is and how long it takes for the arresting officer to complete the required documentation. Under normal circumstances processing takes about four (4) hours. What are arrestees: Charges, Bond, Status, Location of Arrest, and Case Number? All bails, fines, and fees are accepted at the District Court Commissioner’s Office and must be paid by cash, money order, certified check or cashier’s check. I am a Bondsman who should I speak with regarding information on a committed Offender. Where was my car taken? Referred to Montgomery County Police Non-Emergency Telecommunications at 301-279-8000. Where are juvenile offenders taken when they are not being charged as adults? In Maryland, the District Court handles many traffic violations, misdemeanor criminal complaints (& some felonies), tickets, and allegations and many people arrested go to Court at a District Court. Will I have a record? Can I appeal a judgment? What is bail? How to post bail? How to get a lawyer? Contact the Office of the Public Defender by Phone: 877-430-5187. How to file for a Peace Order or Protective Order? ¿Cómo presentar una solicitud de una Orden de Paz u Orden de Protección? What happens when you are arrested for a crime? ¿Qué pasa cuando lo arrestan por un crimen? What is a bad check violation? ¿Qué es una violación por mal cheque? How to have court records expunged? ¿Como hacer que la corte borre su historial judicial? What are my options after receiving a Traffic Citation? ¿Cuáles son mis opciones después de recibir una citación de tráfico? Are you looking for an Inmate or someone who is currently incarcerated in a Federal Prison – Bureau of Prisons (BOP)? There are several different places that someone who has been arrested and is currently in custody in a Federal Prison – BOP Facility could be. You can search for Inmates in Federal Prison by BOP Register Number, DCDC Number, fbi number and INS number. The Bureau of Prisons houses many Inmates that are in Federal Custody and/or have been convicted of a Federal Crime, including Felonies. If you can not find an inmate & he or she has an attorney, often the attorney/lawyer is a great resource for locating a prisoner. Are you looking for an Inmate or someone who is currently incarcerated in New York State? There are several different places that someone who has been arrested and is currently in custody in the State of New York could be. The jail that the inmate is housed in will be affected in large part about what agency is holding the inmate. If the person or inmate was convicted of a FELONY, then chances are he or she is in a STATE JAIL or PRISON. If the person has already been convicted and is not awaiting trial or some other hearing, you will have a good chance of locating the inmate in the New York State Prison system. The New York State Department of Corrections has an Inmate Look Up System. If you are asking “How do you find an Inmate in New York State?” than this site you should start with! Click Here to go to the New York State Department of Corrections and Community Supervision Inmate Population Information Search. If you need to look for inmates or need to use the inmate lookup system in New York City (NYC) then you should use the New York City Department of Corrections (DOCS) Inmate Search System (NYC DOC inmate lookup). This system will help you find an inmate that is housed in New York City. If you are asking “How do you find an Inmate in New York City?” than this site you should start with! Click here for Bronx Inmate Look up, Brooklyn/Kings Inmate Lookup, Queens Inmate Lookup, Staten Island/Richmond Inmate Lookup, New York Inmate and other New York City Correctional Facility Inmate Searches. If you are looking for someone who was recently arrested in New York City, chances are they will not appear in ANY of these Inmate Look Up or Inmate Search systems. It is possible that the person has not been arraigned yet. For more information on what happens after someone is arrested in New York City CLICK HERE. The Monroe County Sheriff’s Office has an Inmate Information Page. The inmate roster and census are updated daily, Monday through Friday. In connection with BAIL ONLINE in Erie County, NY, GovPayNet accepts major credit, debit and prepaid debit cards for cash bail twenty-four hours a day, seven days a week on-site, online, or by phone at 1-877-EZBAIL5 (1-877-392-2455). Where is the Erie County Holding Center Located? What can I expect when I enter the Holding Center? What types of personal identification do I need to bring to the Holding Center? Can I bring my child to the Holding Center to visit an inmate? Can I drop off clothing to an inmate? What types of property will not be accepted by the Holding Center? I want to send an inmate mail- how do I address it? I want to give an inmate money- how do I go about that? I want to bail an inmate out with cash? At what hours can I do this? The NY-DOC also has a Family Guidebook that you can use online or download as a pdf file. Click Here To Visit the New York State Department of Corrections Online Handbook for Family and Friends of Inmates. The New York State Department of Corrections Website keeps an updated list of addresses to State Prison Facilities. CLICK HERE TO SEE OUR LIST OF ADDRESSES TO NEW YORK STATE CORRECTIONAL FACILITIES. If you are seeking to visit an Inmate a facility run by the New York State Department of Corrections, you should visit their website to find their current visitation guidelines. Click Here to Find the Guidelines for Visits of an Inmate in a New York State run Correctional Facility. Not Sure if the Inmate you are Looking for is in a New York State correctional Facility? Confused about whether the jail that are looking for is run by the New York State Department of Corrections? Below is a list of New York State Department of Corrections run Correctional Facilities/jails. INMATE OFFENDER SEARCHINMATE SEARCHHow To Find Inmates & Locate Prisoners Disclaimer: This page is not intended to give legal advice or to create an attorney client relationship between the Law Offices of Oeser-Sweat, P.C. & anyone who is viewing this page. This page was created as a resource to help people who are seeking to locate an Inmate. If you are seeking legal advice, please consult & or find a lawyer in your state. This page was created to help family members and loved ones of those arrested & or incarcerated to find loved ones and locate prisoners who may be inmates at various jails, prisons and penitentiaries throughout the United States. The Inmate Locator is still under development and is a work in process. Eventually, when the goal is complete, this page will be a comprehensive resource for locating inmates in every state. HOW DO YOU FIND OUT IF SOMEONE HAS A CRIMINAL RECORD? Each State has a system of Prisons. Often, the State Prisons will house inmates with longer sentences, often due to a Felony Conviction. Within each state, the various counties have their own jails for holding people who are on trial, or who are charged and/or convicted of lesser offenses & Misdemeanors. If you can not find an inmate & he or she has an attorney, often the attorney/lawyer is a great resource for locating a prisoner. Are you looking for information relating to when your next court date is? 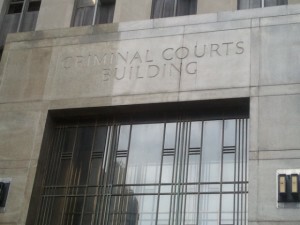 Are you asking how you find your next court date in a New York City or New York State Court? If your case is in Criminal Court (New York Criminal Court, New York District Court, New York Supreme Court), then you need to use the Court’s WEBCRIMS to find your next Court date. You can also use WEBCRIMS to find free criminal records. By logging into WEBCRIMS as a public user, anyone, whether you are a defendant or an attorney/lawyer, can find someone’s next court date. You can find information and the next court date for both misdemeanor and felony cases. The system also gives you information about what court the case is in, the judge on the case, the charges, the defendant’s name and date of birth, the amount of bail that was set in the case, when the case was on last, all dates the case has been on the calendar, and whether or not a plea offer was made by the district attorney. WEBCRIMS is run by the Unified Court System and is the OFFICIAL Court Date Look Up website! Please note that often people who are arrested and given a Desk Appearance Ticket (DAT) will often not find their next court date in the WEBCRIMS system. This is because the DAT is issued by the Police Department and not the Court system directly. If you trying to find out if someone who was arrested has a bail, you can use the Unified Court System WEBCRIMS site to find a bail amount in a particular case. You can log into WEBCRIMS and look up someone who was arrested (defendant’s) information and find out if the Judge/Court set a bail at the arraignment and often, it will tell you how much that bail is (bail amount). You can also find out if someone was released on their own recognizance (ROR). If you are wondering how to find out what a person was arrested for, you can possibly find information on a person’s criminal case or find out why someone was arrested by using WEBCRIMS. WEBCRIMS is a site on which one can conduct a free arrest search and find out if someone has an open criminal case and as far as open case, get free criminal records information. If you are looking for your next court date in a New York City or New York State Family Court, the Unified Court System’s WEBFAMILY system may help you to look up your next court date in Family Court. Whether you are the Petitioner, the Defendant, or a Lawyer/Attorney, you can find information regarding family court cases and the next court date on the WEBFAMILY system. Family Court cases include Child Support and Child Custody cases. So WEBFAMILY can help if you are looking for your next court date in a custody case and/or if you are looking for your next court date in a child support matter. If you are looking for your next court date in a New York City or New York State Housing Court, the Unified Court System’s WEBHOUSING system may help you to look up your next court date in Family Court. Whether you are the Petitioner, the Defendant, or a Lawyer/Attorney, you can find information regarding family court cases and the next court date on the WEBHOUSING system. Housing Court cases include Landlord Tenant Cases, Commercial Landlord Tenant Cases, Eviction Cases, Non-payment Eviction Cases, and holdover eviction cases. So WEBHOUSING can help if you are looking for your next court date in an eviction case and/or if you are looking for your next court date in a nonpayment or holdover matter. Are you trying to figure out whether courts are open? Looking for Court closing information? You can call 1-800-COURTNY (1-800-268-7869) to find out more information about whether New York Courts will be closed due to a weather or other emergency. If you are Juror wondering if you have to report to Jury duty, Jurors can call: 1-800-NY-JUROR (1-800-695-8767) to find out if Court will be open. If you are looking for the Courts holidays see below. WHERE IS THE CRIMINAL COURTHOUSE? *THIS SITE MAY BE CONSIDERED ATTORNEY ADVERTISING IN CERTAIN JURISDICTIONS* Private Criminal Lawyer Jamel Oeser-Sweat, Esq. quickly discussing whether someone should hire a private attorney during arraignment in New York City. The decision to hire a private criminal lawyer is an important one. You should choose an experienced lawyer and/or law firm that you trust. However, it is important not to discount the work done by Legal Aid Lawyers. Legal Aid handles the majority of the cases in the City of New York. Other attorneys that are assigned by the Court are on a panel and often also have their own private practices. Some people do not realize that despite the fact that they have been “assigned” a lawyer, the lawyer may be a “private” lawyer. These lawyers are part of the “Assigned Counsel Plan” and are screened and must meet certain requirements in order to take cases. These lawyers are also referred to as “18-B” lawyers. Click Here for a New York Times Article on 18-B Lawyers. THE LAWYERS AT OESER-SWEAT, P.C. Looking to find a lawyer? Want to find an attorney in a specific area of law? There are many ways to do so. Your local bar association may be one place to find a good lawyer. Bar Associations are often run by lawyers and require attorneys who are taking cases to meet certain qualifications and requirements. These lawyer run associations screen attorneys to ensure that they are competent enough to handle legal matters. If you are asking yourself: “How can I find a lawyer?” or “How can I find a good lawyer?” then you should be looking to use your network and resources. Calling a lawyer that you have previously worked with for a referral is another good way to find an attorney. There is no right or wrong way to conduct an attorney search. If you need to search for attorney references, often the local court system will have a directory in which you can search for attorney licensing information. These directories of online lawyers information can be helpful to ensure that someone you are considering working with is actually a lawyer. Law Firms Attorneys and Lawyers often have websites that you can check out. Google is a good resource for conducting a lawyer search or attorney search. How Do Find An Attorney? Many of you may be asking: How do I find an attorney in my city online? As stated above, there are many ways, but Google is a very good starting point. We have created a way for you to search for lawyers using Google. Simply place your location into the search box below and press search and a new page will open (this search will redirect you to a targeted search on google.com and will not contain any spam, etc). WANT TO HIRE A PRIVATE CRIMINAL ATTORNEY? Hire A New York Lawyer Today! Hire A New York Lawyer Today! Information You Need To Obtain..
Maybe You Should Hire A Lawyer! The Law Offices of Oeser-Sweat, P.C. can help you or your loved one fight his or her case. The Attorneys at the Law Offices of Oeser-Sweat, P.C. have done lots and lots of Arraignments. We can help you get through the Arraignment Process and to fight to protect your RIGHTS! Click here to learn more about us! Bail Arguments will decide whether someone who is arrested will go home or stay in Jail! We know the arraignment process and will fight to get you or your loved one the best situation possible! Click here to learn more about us! Copyright © Central Booking Info Oeser-Sweat, P.C. 419 Lafayette Street, 2nd Floor New York, New York Phone: 212-675-7955 WEB: www.oesersweat.com ATTORNEY ADVERTISING This web site may be considered advertising in some jurisdictions under the applicable law and ethical rules. Oeser-Sweat, P.C. does not offer any guarantee of case results. Prior results do not guarantee a similar outcome. This site is not intended to create an attorney client relationship. This site is property of OESER-SWEAT, P.C. Images appear courtesy of J.L. Sweat and appear in Birds, Bees, Babies The Story of the Birds and the Bees. Copyright 2012 All Rights Reserved.